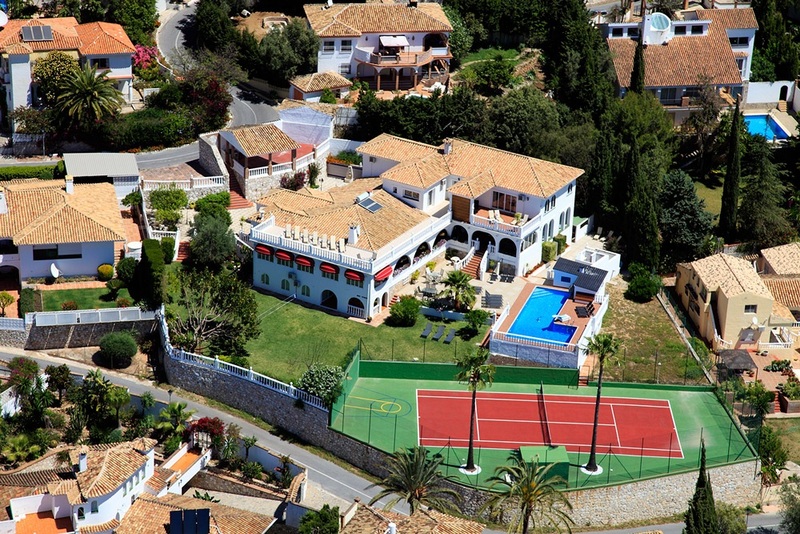 The villa is conveniently situated within the exclusive Mijas Costa mountains on the famous Costa del Sol (20min drive from Marbella). 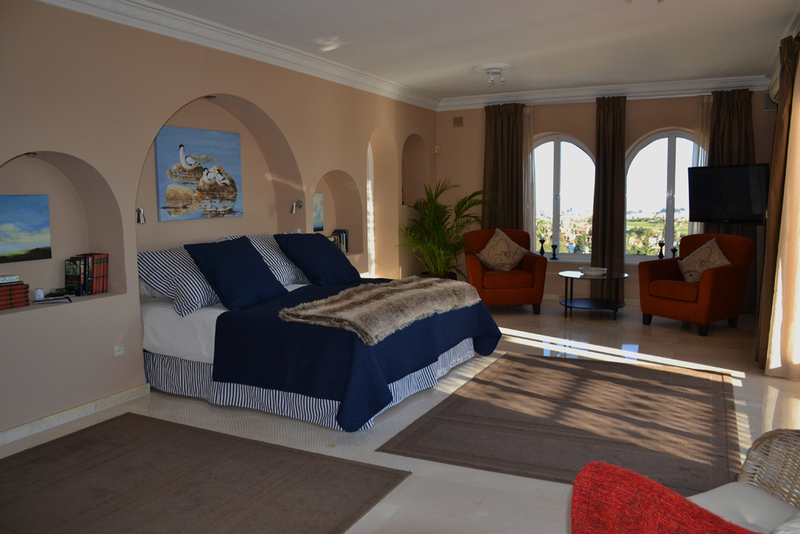 It is a 12 bedroom (7 en-suite, 2 apartments with own bathrooms and 2 small children rooms) luxurious mansion laid out over 3 floors and sleeps a total of 28 people. 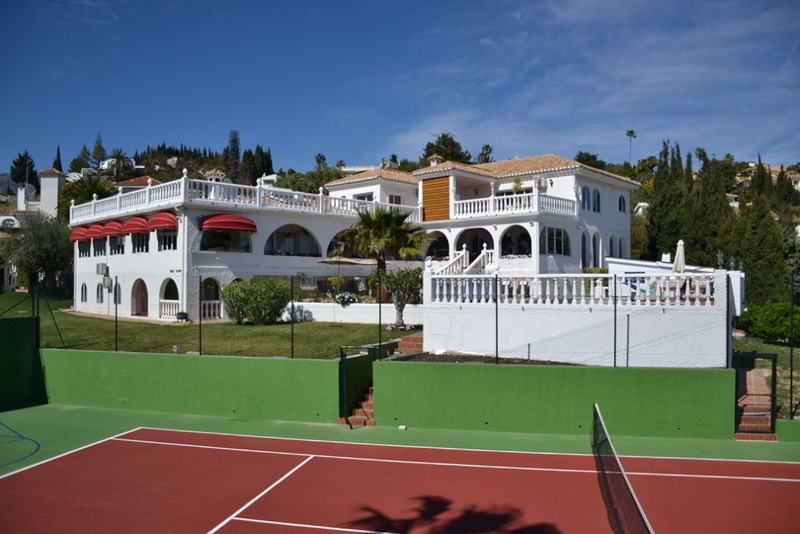 From the private tennis court and two large private swimming pools (heated indoor) to the jacuzzi with views of the sparkling Mediterranean ocean and a private golf green with 6 holes and a bunker, this villa has it all to make your holiday experience a memorable and enjoyable one. The pool and roof terraces look out across the landscaped private gardens all the way down to the fantastic Costa del Sol coastline. 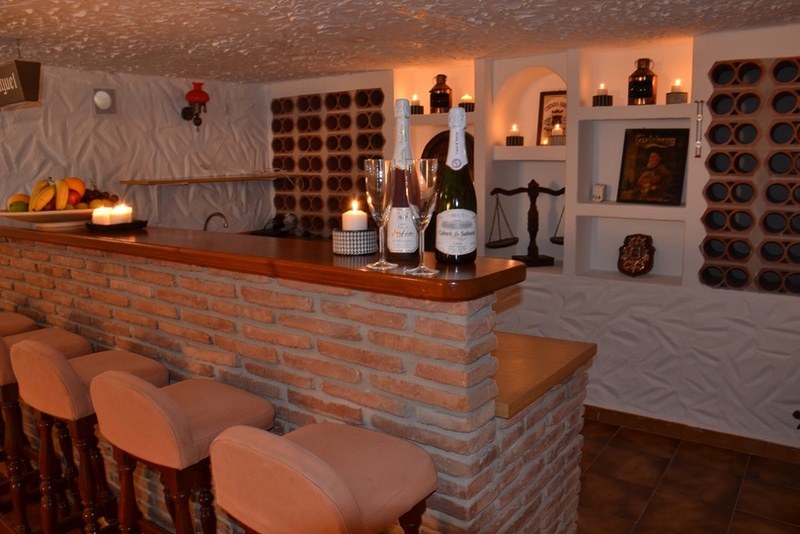 The Spanish bodega wine cellar has a variety of wines and is a perfect place for entertainment with its own bar. The spacious living area is equipped with modern conveniences, a full size bar, fine art, complimentary wireless internet and also has two 50" full Sky package surround sound plasma tv/dvd. All bedrooms have a/c and a plasma TV. 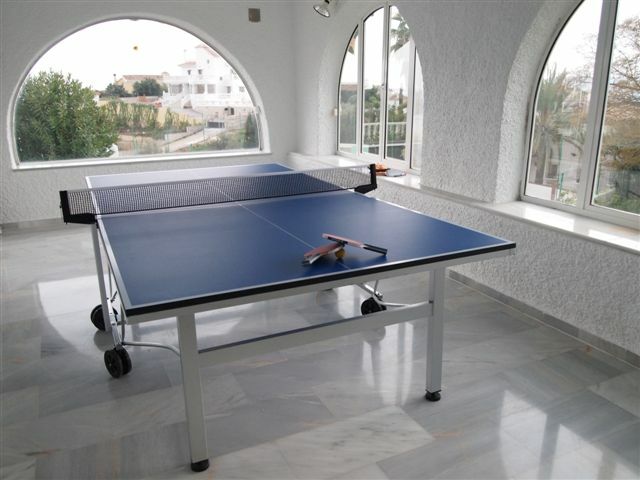 There is a separate grand piano and ipod compatible music systems throughout the house for the music lovers and tennis, table-tennis, darts, pool table, basketball, badminton, football, 4 mountain bikes and a gym for the sports lovers. 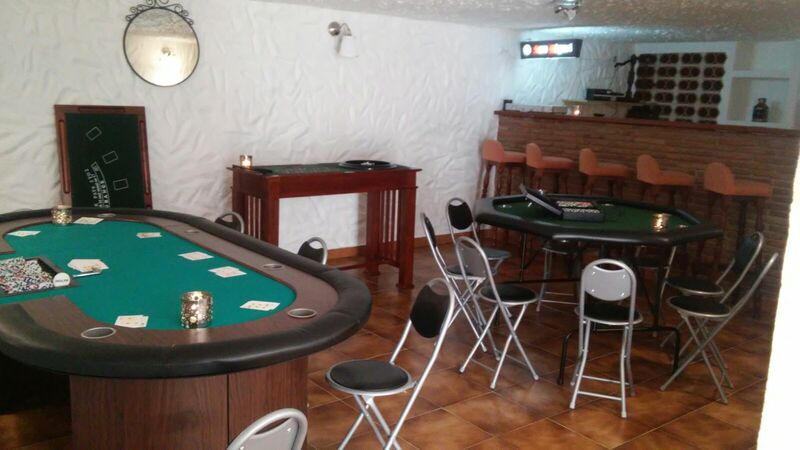 The villa also has a its own casino with roulette and poker tables. 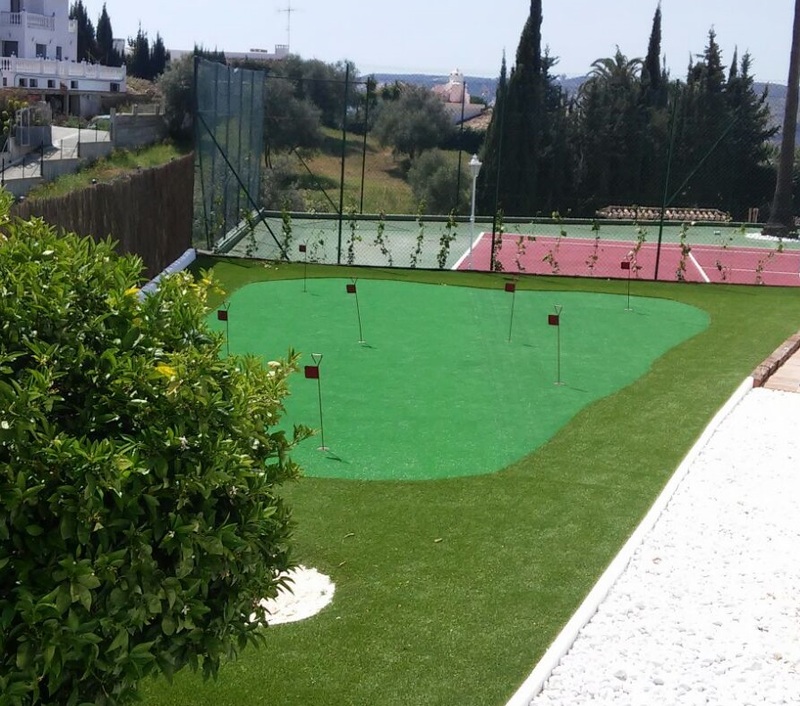 Mijas golf course is just a 5min drive away. 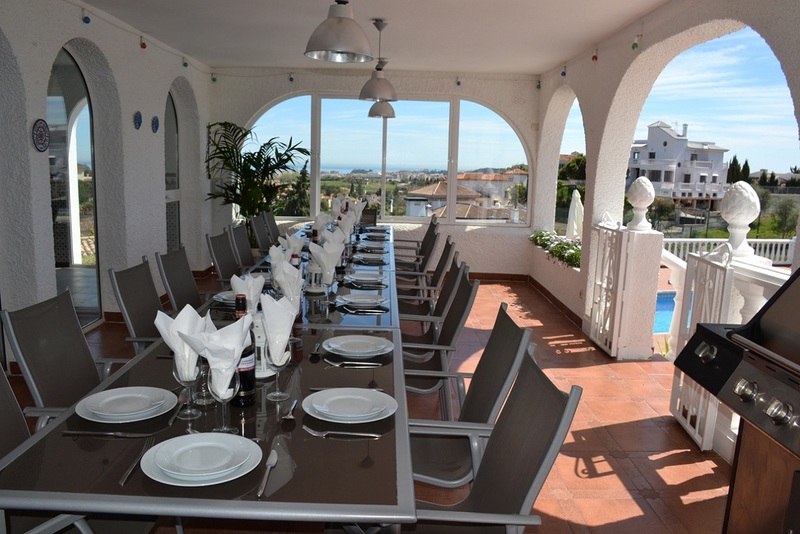 The grounds of the villa include a large manicured garden, a putting green with 6 holes and a bunker, shower facilities, separate BBQ area with 2 BBQs (coal and gas) and a variety of sun-loungers. Costa del Sol gets an average of 320 days of sunshine per year and is famous for its beautiful weather, beaches, golf courses and restaurants/nightlife. We provide a wide range of services including but not limited to a master chef, maid, masseuse, food shopping, selling alcohol, wine tasting, golf courses and airport transfers. This is truly a magnificent and unforgettable holiday. Heated indoor pool, outdoor pool with diving board, jacuzzi, private tennis court, pool table, table-tennis, badminton/volleyball court, garden football goals, basketball, darts, gym, 4 mountain bikes, golf green with 6 holes and bunker, two 50" plasma TV/DVD with surround sound, full Sky package, 2 PCs, complimentary wireless internet, CD player/ipod docking station, 2 bars, grand piano, games room, bodega wine cellar, two BBQs (coal and gas), log fire, 2 roof terraces with panoramic sea/mountain views, air-conditioning and plasma TV in every bedroom, masseuse, maid, master chef, golf courses, wine tasting, transfers and other services (available at extra cost). Fully equipped kitchen leading to separate dining area with seating for 28 people includes: 3 American style fridge/freezer, 3 dishwashers, 2 cookers, 2 hobs, microwave, 2 ovens, 2 toasters, restaurant coffee machine and kettle. There is also a washing machine, iron and ironing board, 2 high chairs and 2 cotts. 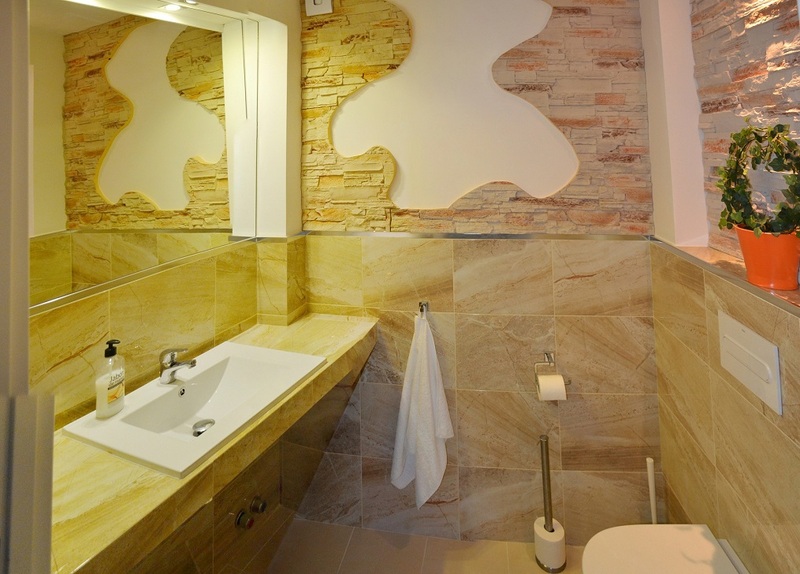 Heated indoor swimming pool, gym (BH elliptical machine, 2 Domyos weights systems, free weights and bench press, treadmill, rowing machine and exercise bike), 2 showers, comfortable seating area, ipod music system, Mediterranean ocean view. Fully stocked bar (alcohol sold at extra cost), iPod-compatible music system with surround sound, fridge/freezer, 11 bar stools, dishwasher, expresso machine, grand piano, washroom, air conditioning, Draft beer (50L barrels). Large sofa, iPod compatible music system, fantastic wines, disco lighting, dart board, poker & blackjack table, roulette, backgammon, chess, monopoly and other card games. 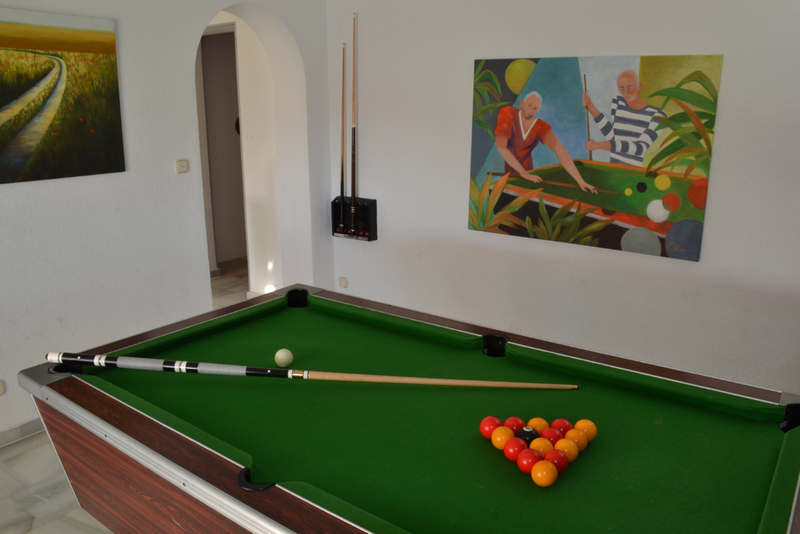 3 large sofas and tables with seating for 28, 4*750W iPod-compatible surround-sound music system, two 50" HD plasma TV/DVD with full sky package, log fire, darts, pool table and table-tennis (rackets, balls, cues provided), Mediterranean ocean view, air conditioning. 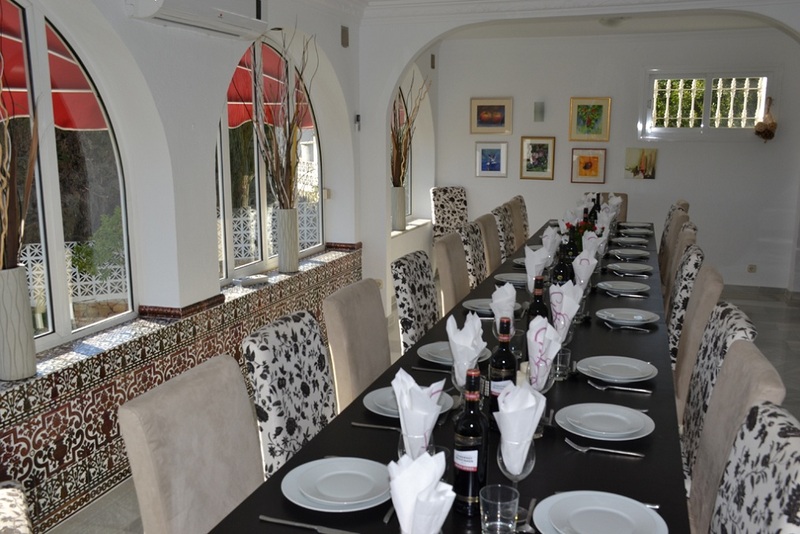 Grand dining room with table and chairs for 28 people with view of Mijas golf and the Mediterranean ocean. 2 laptops, printer, complimentary wireless internet. 2 sofas, 2 chairs, table and piano. 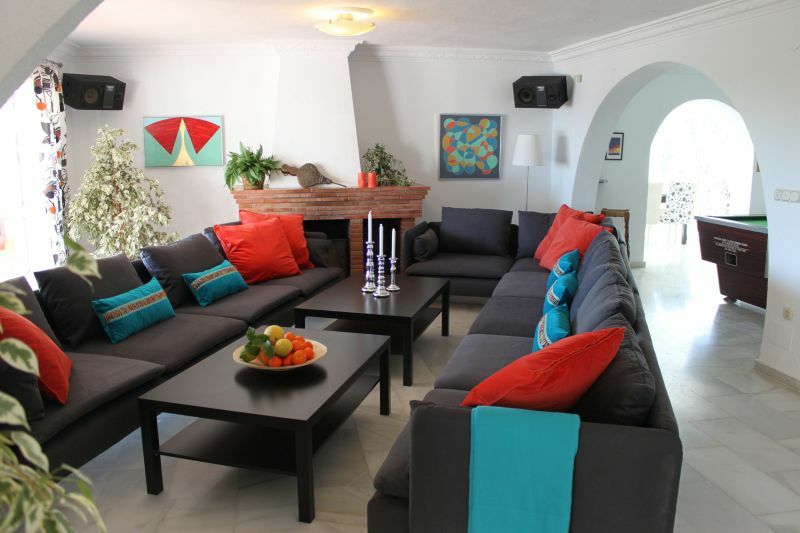 King size bed, en-suite bathroom with jacuzzi and shower area, his/her sinks, large private roof terrace with lounge furniture and sun-loungers, Mediterranean ocean/mountain views, plasma TV, a/c, entrance to childrens room 1. (top floor). 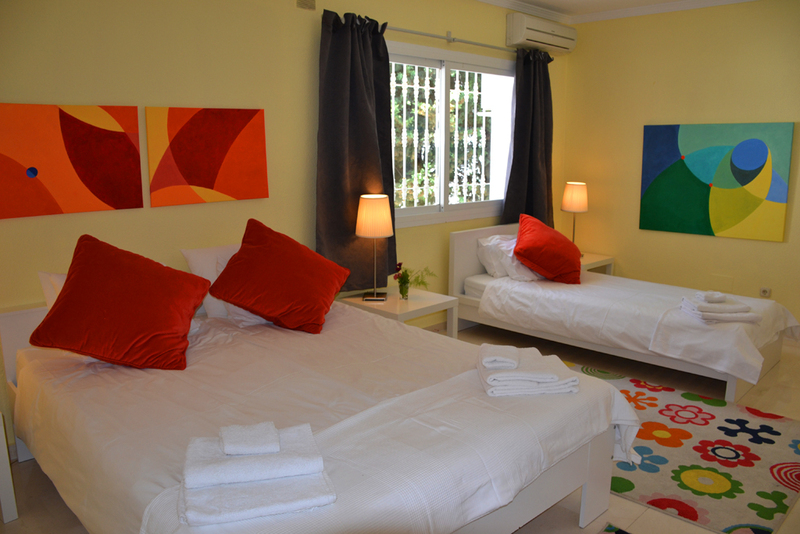 1 double bed, 1 single bed, en-suite bathroom with shower, arm chair, plasma TV, a/c, entrance to childrens room 2. (top floor). 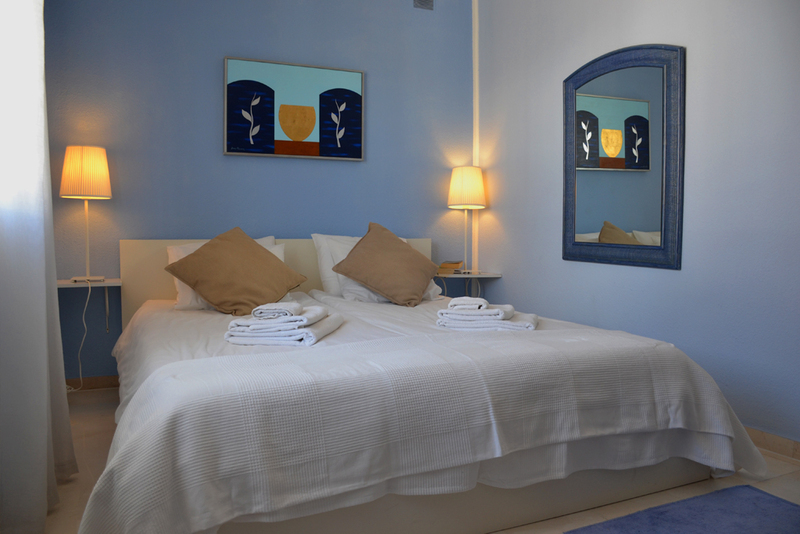 1 double bed, en-suite bathroom with shower, large private roof terrace, arm chair, Mediterranean ocean/mountain views, plasma TV, a/c. (top floor). 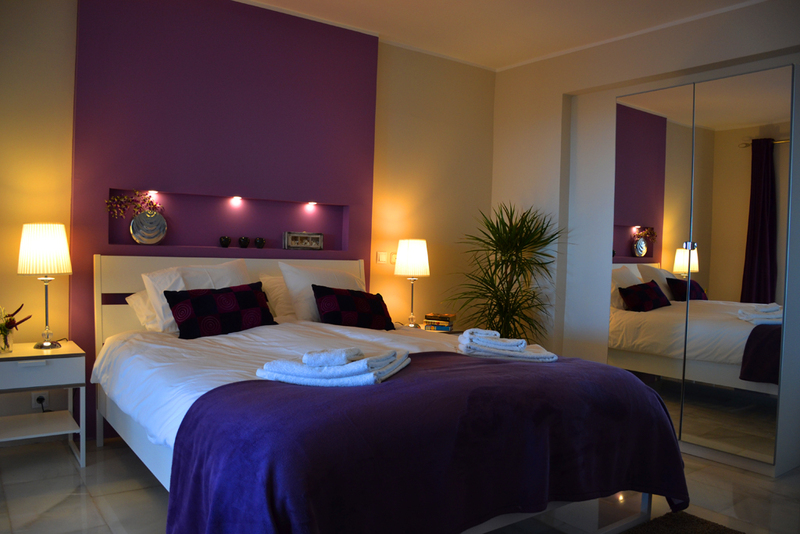 1 double bed, en-suite bathroom with shower, plasma TV, a/c. (top floor). 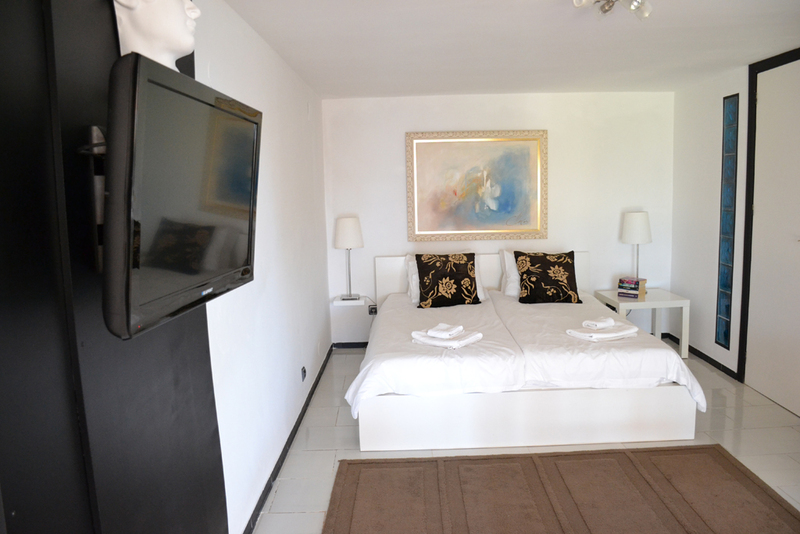 1 double bed, en-suite bathroom with shower, arm chair, plasma TV, a/c. (ground floor). 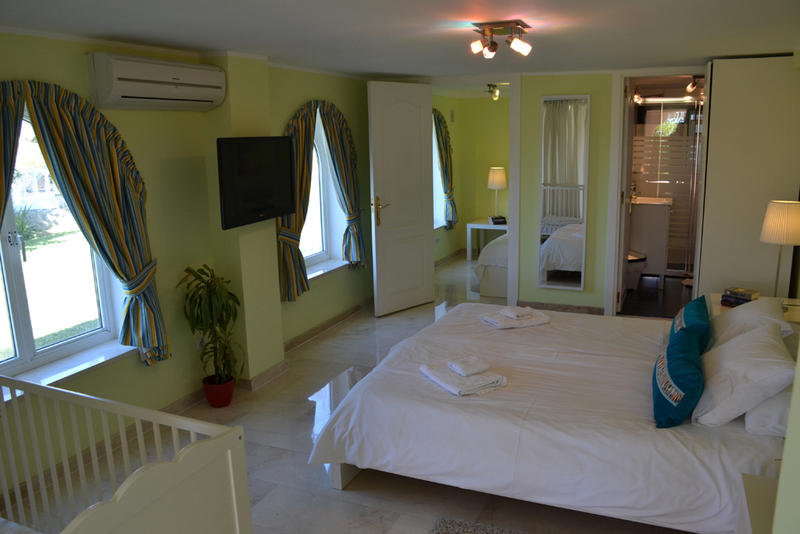 2 single beds, desk & chair, bathroom next door, plasma TV, a/c. (ground floor). 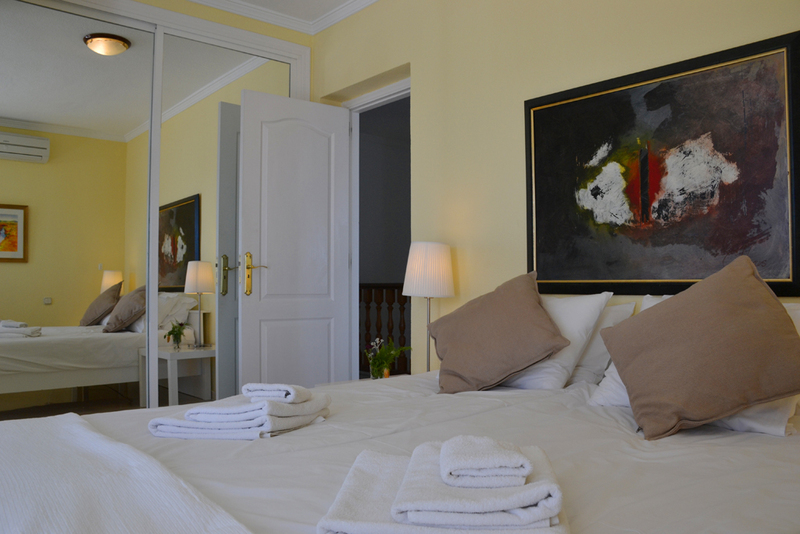 1 double bed, on-suite bathroom with shower, arm chair, plasma TV, a/c. (ground floor). 1 double bed, 2 arm chairs, a/c. (ground floor, access to front terrace). 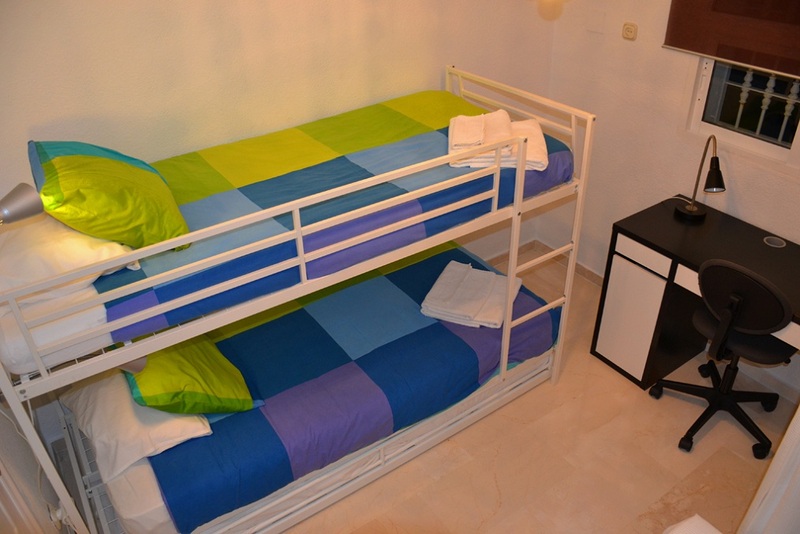 1 bunk bed (adult size) in separate room, 1 double bed, en-suite bathroom with shower, sofa, a/c. (apartment, lower ground with own patio). 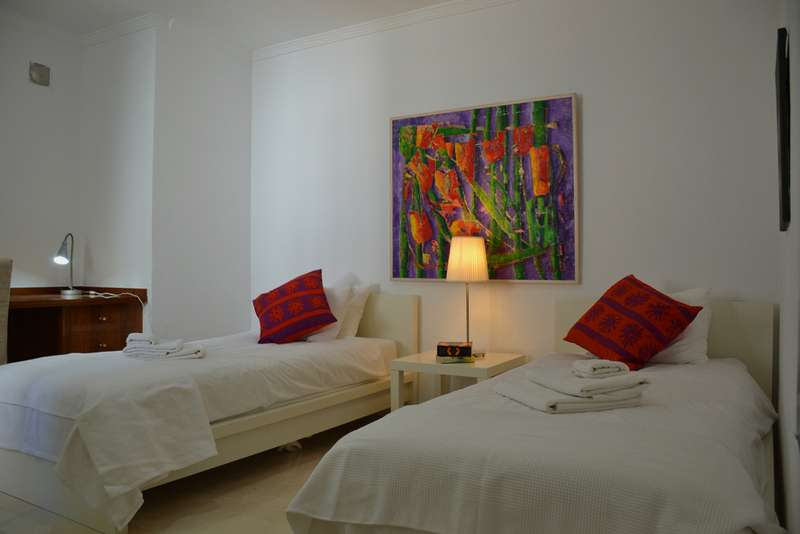 1 single bed in separate room, 1 double bed, sofa, en-suite bathroom with shower, sofa, a/c. (apartment, lower ground with own patio). 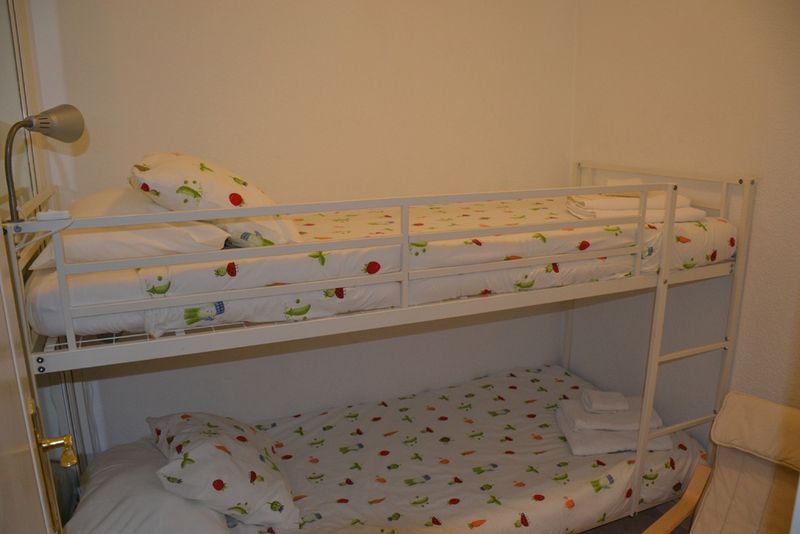 1 bunk bed (adult size), 1 pull out bed, sofa, desk and chair, a/c. (Kids room, top floor, access via master bedroom). 1 bunk bed (adult size), kids arm chair, a/c. (Kids room, top floor, access via bedroom 1). Outdoor pool with diving board, sun-loungers, 2 eating areas, 3 outdoor showers, BBQ area with washroom and shower and washing machine. Hard court with shaded seating area and shower, basketball hoop. (balls and rackets provided). 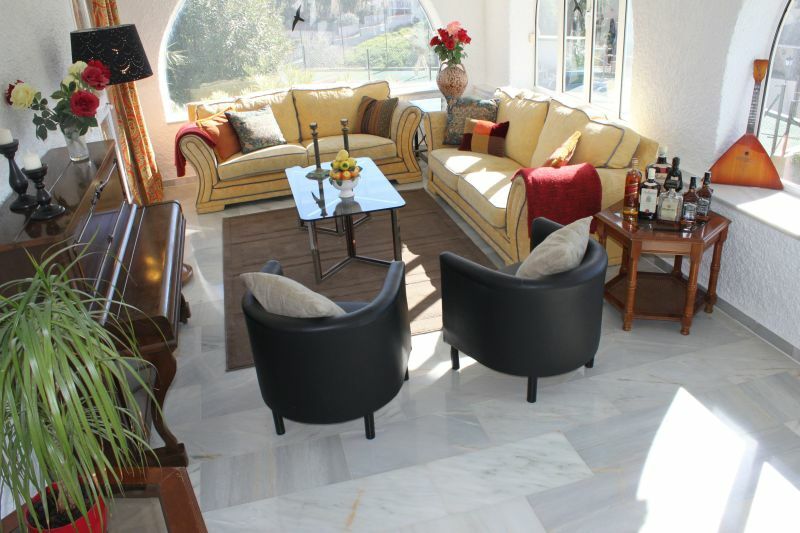 Mediterranean ocean/mountain views, 2 seating areas with table & chairs. 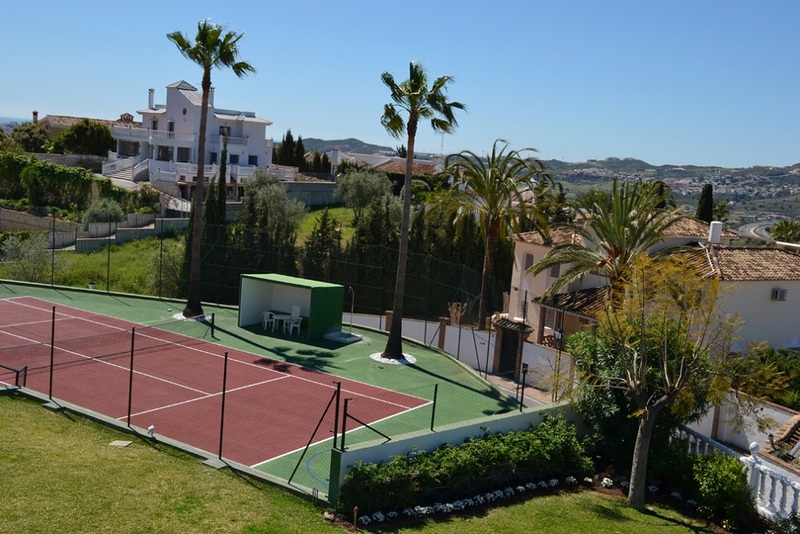 Grass garden with football goals, badminton/volleyball court, olive, lemon and orange trees. Private garage for 3 cars, private outside parking for 3 cars, linen, bathroom and pool towels provided (for free). 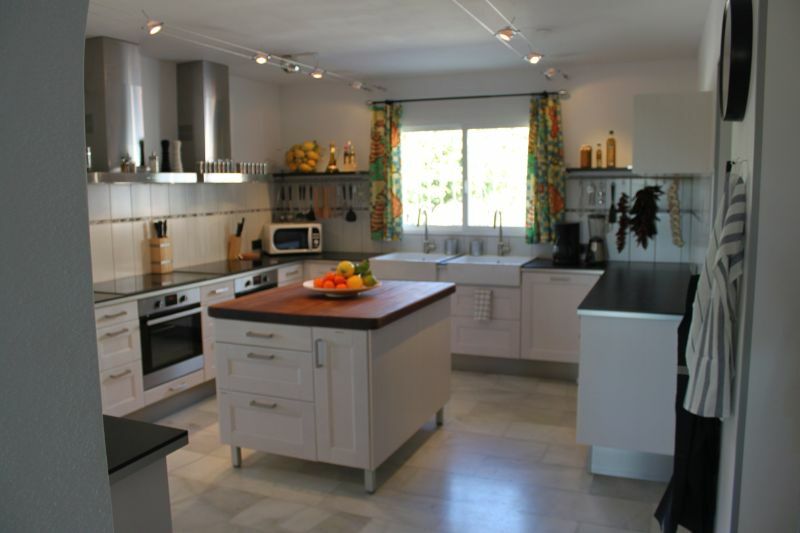 Master chef, maid, masseuse and other serviced provided including wine tasting and golf courses (extra cost). Fully censored house alarm system, CCTV, safe, fire extinguisher, first aid kit and smoke alarms.